Robert Motherwell was born in Aberdeen, Washington, on January 24, 1915, the first child of Robert Burns Motherwell II and Margaret Hogan Motherwell. He was reared largely on the Pacific Coast and spent most of his school years in California, where he graduated from Stanford University in 1937. Motherwell also did graduate work in philosophy at Harvard University and in 1940 he studied briefly at Columbia University, where he was encouraged by Meyer Schapiro to devote himself to painting rather than scholarship. After a 1941 voyage to Mexico with the Surrealist painter Matta, Motherwell decided to make painting his primary vocation. It was at this time that he began to do “automatic” drawings and painted his first mature pictures. 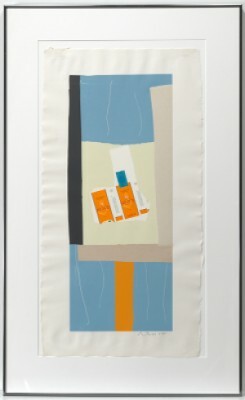 The next year Motherwell began to exhibit his work in New York and in 1944 he had his first one-man show at Peggy Guggenheim’s “Art of This Century” gallery. 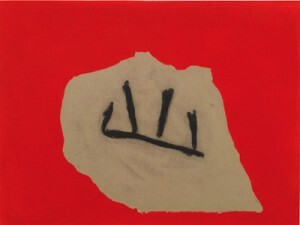 Beginning in the mid-1940s, Motherwell became the leading spokesman for avant-garde art in America. He lectured widely on abstract painting and he founded and edited the Documents of Modern Art series. In 1948, he began to work with his celebrated Elegy to the Spanish Republic theme, which he continued to develop throughout his life. 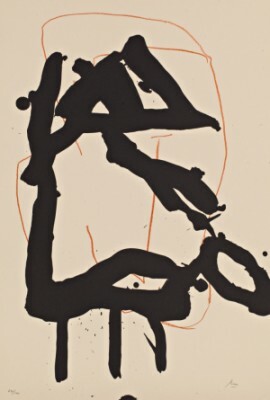 From 1950 to 1959, Motherwell also taught painting at Hunter College, in New York. At this time, he was a prolific writer and lecturer, and in addition to directing the influential Documents of Modern Art Series, he edited The Dada Painters and Poets: An Anthology, which was published in 1951. 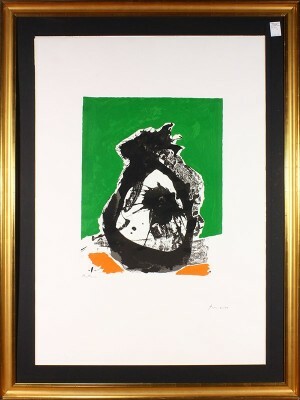 In 1958–59, Motherwell was included in “The New American Painting” exhibition, initiated by the Museum of Modern Art, which was shown in numerous European cities. That year he traveled in Spain and France, where he started his Iberia series. 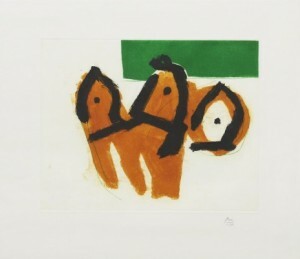 During the 1960s, Motherwell exhibited widely in both America and Europe and in 1965 he was given a major retrospective exhibition at the Museum of Modern Art; this show subsequently traveled to Amsterdam, London, Brussels, Essen, and Turin. 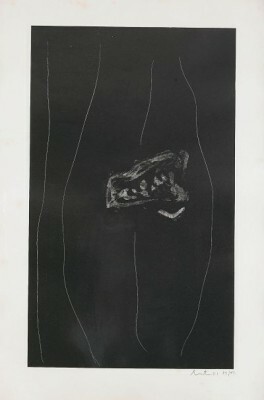 In 1967, Motherwell began to work on his Open series. In 1970, Motherwell moved to Greenwich, Connecticut. During the 1970s, he had important retrospective exhibitions in a number of European cities, including Düsseldorf, Stockholm, Vienna, Paris, Edinburgh, and London. 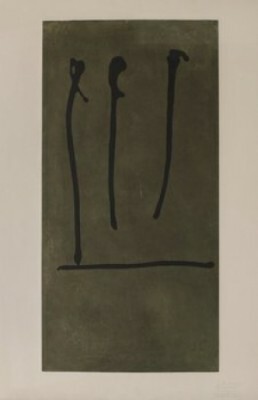 In 1977, Motherwell was given a major mural commission for the new wing of the National Gallery of Art, Washington, D.C. 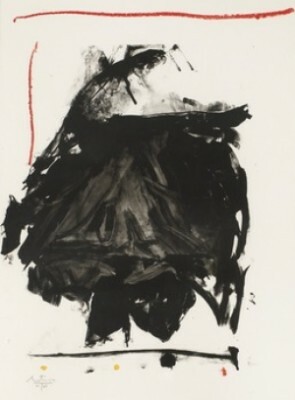 In 1983, a major retrospective exhibition of Motherwell’s work was mounted at the Albright-Knox Art Gallery in Buffalo, New York; this exhibition was subsequently shown in Los Angeles, San Francisco, Seattle, Washington, D.C., and New York City. Another retrospective was shown in Mexico City, Monterey, and Fort Worth, Texas, in 1991. 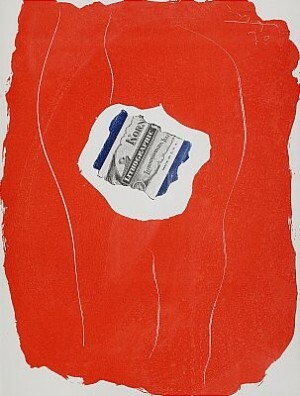 Robert Motherwell died in Provincetown, Massachusetts on July 16, 1991. 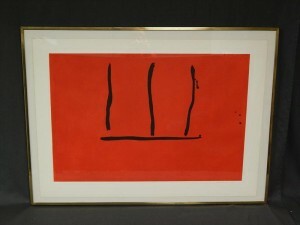 Robert Motherwell est un artiste américain né en 1915 et décédé en 1991. Il est surtout connu pour sa peinture et ses estampes. Il est rattaché à l’Ecole de New York aux côtés de Pollock, Rothko, ou encore de Kooning. Il étudie la peinture à la California School of Fine Arts de San Francisco et la philosophie à l’Université de Standford. Il voyage ensuite en Europe puis étudie à l’Université d’Harvard. Il séjourne ensuite un an à Paris. Sous les conseils de l’artiste parisien Arthur Berger, il poursuit ses études à l’Université Columbia de New York sous la direction de Meyer Shapiro. Ce dernier le présente aux surréalistes français. Il se lie d’amitié avec l’artiste Roberto Matta qui lui enseigne le principe des dessins automatiques, concept surréaliste lié à l’inconscient. C’est en 1942, que Motherwell expose pour la première fois à New York. Deux ans plus tard, il réalise sa première exposition personnelle à la Peggy Guggenheim Gallery, et le MoMa acquiert plusieurs de ses œuvres. De 1958 à 1959, il participe à la grande exposition itinérante « The New American Painting ». Dans les années 1960, il participe à de nombreuses expositions en Amérique et en Europe. Dans les années 1970, il s’installe dans le Connecticut et plusieurs rétrospectives de son travail se tiennent en Europe, puis aux USA dans les années 1980-90. Après sa mort, Clement Greenberg affirme que Motherwell était le meilleur expressionniste abstrait.